A substantial two and part three storey office building originally dating from the late 19th century with excellent on-site parking provision. Internally, the accommodation comprises a mix of open plan and private office space, meeting rooms, stores and ancillary facilities on each floor. The property offers potential for alternative use, subject to planning, with scope to install a lift. 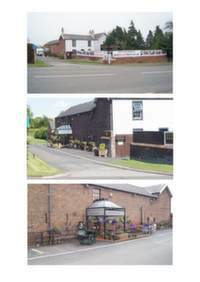 Terms: For Sale: Offers in the region of £350,000 are invited for the Freehold. A centre piece development at Kingmoor Park, now benefitting from Enterprise Zone Status. Outline consent for 100,000 sq ft office scheme as well as neighbourhood shopping facilities, cafes, retail units, petrol filling station and other support services. The freehold interest with vacant possession. Carigiet Cowen are delighted to be marketing Wood Villa Estate & Kennels, conveniently situated in a picturesque rural location between Gretna and Longtown, close to the England / Scotland border. The opportunity comprises a freehold detached property, finished to a modern standard throughout providing 3 no. double bedrooms, large open plan living and kitchen area, bathroom and utility areas set within 0.65 acres of well kept grounds. In addition, due to retirement the owners are selling the business ‘Wood Villa Luxury Kennels’ alongside the property which consists of 10 no. insulated kennels of which 3 are fully heated, isolation pen, soft play area and hard play area. Wood Villa was established in 2014 and boasts a very good reputation for this area and has extremely healthy profits for the recent years. Bookings up to the end of 2018 are almost full with a number of existing clients already booked in for 2019. The opportunity is ideal for any established kennel business looking to expand their portfolio or any new start business looking to build on the existing successful business foundations achieved to date by the current owners. A handover period from sale can be arranged. To fully appreciate this opportunity, interested parties are advised to contact the agent for full details and viewing is highly recommended. Terms: Offers in the region of £365,000 are invited for the freehold interest and business. A prime retail and residential freehold property, primely located on Senhouse Street, Maryport. The building comprises of a ground floor retail unit suitable for sub-division to 2 no. units and two separate two bedroom residential flats with self-contained access. Offers in the region of £195,000 are invited for the freehold interest. The Bradbury Centre was constructed in 2008 and comprises a detached two storey building. Internally, the accommodation provides a variety of offices, open plan day care and activity rooms, kitchen and WCs. The property benefits from full DDA access including ramped access from the street to first floor and ground floor access to the rear, in addition to a personnel lift. There is parking for up to 10 cars provided to the rear. The property is suitable for a variety of uses, subject to planning, such as offices, creche, medical or veterinary practice. Alternatively the site offers scope for redevelopment which could include residential or care home use. Planning was granted under application no. 4/17/2383/0F1 in January 2018 for a substantial two-storey extension and plans are available upon request. Substantial block of period property currently occupied as offices, but suitable for a variety of uses. For Sale as a whole. Greenfield Development site less than 0.5 miles from Junction 41 of M6. Site servicing works to commence in early 2019. Outline consent for B1, B2 & B8. Police Station with dedicated car park. Building has potential for conversion or part redevelopment for residential purposes. Also has residential development potential. Schemes on both properties will be subject to planning consent. Both are within conservation area. Indicative scheme layouts and commentary from local planning authority available on request. Vacant possession available late 2019. St Bees, famous as the start/finish of Wainwright's 'Coast to Coast' walk. Popular with thousands of walkers each year, and a popular West Cumbria coastal village. Ideally situated on the Cumbrian West Coast rail line, providing access from Carlisle (Virgin West Coast Station), Whitehaven and other west coast centres. 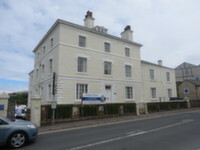 Substantial former care facility, (built around 2005) which includes 20 en-suite bedrooms with potential for alternative use, or redevelopment, subject to planning consent. Alternative uses may include, offices, day centre, creche, or in the case of redevelopment, residential or care home. On-site parking for approximate 25 cars. Rights of access are provided for over NHS land. Terms: Terms: The property is to be sold by private treaty. Offers are invited in the region of £750,000. Substantial property with potential for conversion to office use, (subject to planning) with on-site parking. Former Court premises, part latterly used for surgery use. Close to Whitehaven town centre. Development opportunity site (3.34 acres), situated on the Eastern side of Whitehaven, enjoying views to Ennerdale and the western Lake District. Good location, close to Whitehaven Golf Club and easy access to amenities and Sellafield. Outline planning for residential is approved with plans showing 25 predominantly detached units. Planning information on request. The Old Customs House is a substantial three-storey Grade II listed building dating from around 1811. The property is prominently situated on West Strand with direct frontage to Whitehaven Harbour itself, and adjacent to the Quay Street South public car park. Internally the accommodation comprises a range of open plan and sectional offices with kitchen and WC facilities on each floor. Disabled access is currently provided by way of a ramp from street level to ground floor. The Old Customs House offers potential for conversion to alternative uses, subject to the necessary consents, which could include mixed commercial and residential use. Terms: Offers in the region of £225,000 are invited for the freehold interest. 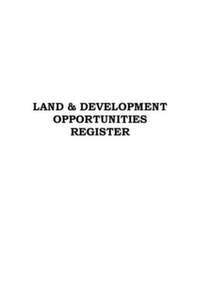 Opportunity for re-occupation or re-development. A detached former social club, dating from 1938 with roadside position. Internally the building comprises an entrance lobby leading to two large bar / function room areas with integral stores, kitchen and wc facilities. We understand the property is not Listed but is situated within a Conservation Area. When considering redevelopment, interested parties should contact Allerdale Borough Council Planning Department for more information on 01900 702746. Brown field development site conveniently situated between Workington and Whitehaven. Just south of the A595 trunk road, providing direct access to Sellafield. Outline planning consent for 52 open market dwellings has been approved. Full details of consent available on request. Site is offered For Sale by Private Treaty.